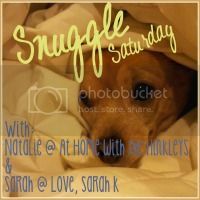 Welcome back for the 7th edition of Snuggle Saturday!! Thanks so much for linking up with us each week, I hope you are having as much fun as Sarah K and I are! So today we are talking things we'd never do. 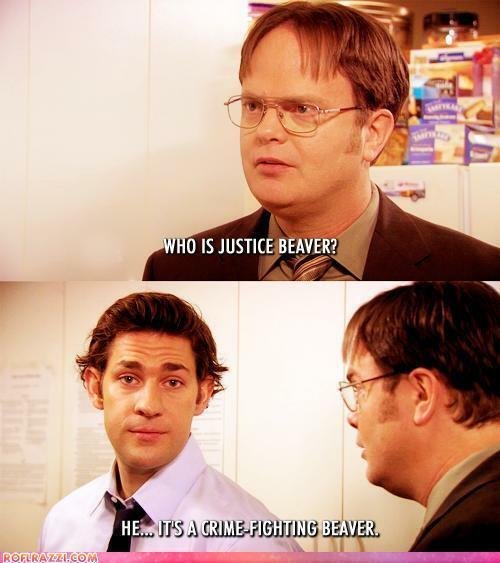 Sorry Justice Beaver, I am saying Never. Because I would rather barf or starve. Who finds this stuff fun?! Not me. I would never eat at this restaurant again. At least at the Sugarland location. I left my phone on the table accidentally and the manager totally tried to jack me. I called there not 10 mins later and it was 'gone.' (and it was like 1:45 in the afternoon, the restaurant was empty when we left.) It was only until I physically went up there and told them Verizon inactivated it and whomever tries to reactive it wouldn't be able to that it suddenly appeared. POS manager guy, right?? What is you favorite fairytale and why?? Hahaha!!! Great list, Natalie!! I have had that happen to me before except with sunglasses. I know that one of the staff members stole it! I was devastated! :( Why can't people just be honest? SIGH! but rare steak is so delicious!! I'd also never eat those things! I just shuddered even thinking about it. I must agree with EVERYTHING here! That is so messed up about the phone.